Maverick Arts publishing have done it again . They are soon to release two new fantastic titles. How do you do Mr Gnu? And Fum. Me and Ava have been lucky to have been sent these two titles before they are published on the 28th March. How do you do Mr Gnu ? 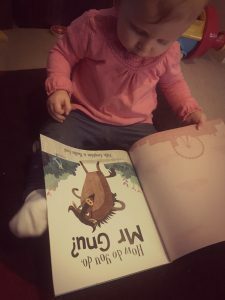 Now this is Ava’s favourite story out of the two. It has a comedic factor to it. Mr Gnu is invited to see the Queen . 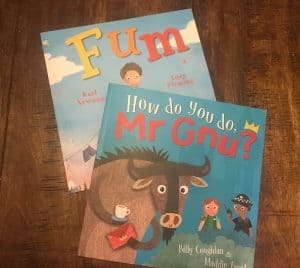 Mr Gnu doesn’t have the best manners so he goes around town learning manners of other animals and a baby. Although he does get a little confused and jumbled up along the way. As always the illustrations in this story are beautiful and vivid. 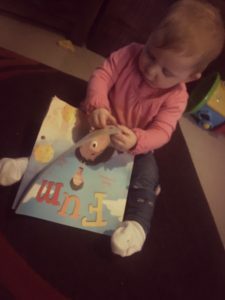 The illustrations convey the story perfectly and also give great conversation points to talk about ,with your children. we really enjoyed this story and I’m sure it will be read many times over. Fum is a story about a little boy called Fum he is the youngest child in the Crumb family. Sadly Fum goes missing and the Crumb family go in search of him . On the search for Fum they come across some much-loved characters from fairy tales. I won’t tell you who they are you will need to read the story to find out ! Again the illustrations are beautiful. I really liked the rhymes in this story . As I teach children in the Early years I know that this is an important skill they need to learn. So I cannot wait to take it to work to read it with them. Both books are priced at £6.99 each and can be purchased from all good bookshops and you can also order online from Amazon and The Book Depository.